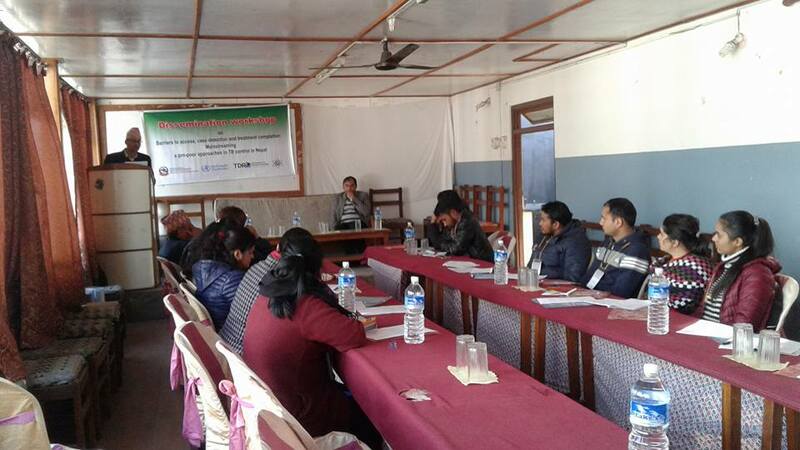 The objective of workshop was to disseminate the key findings of research in Pokhara. 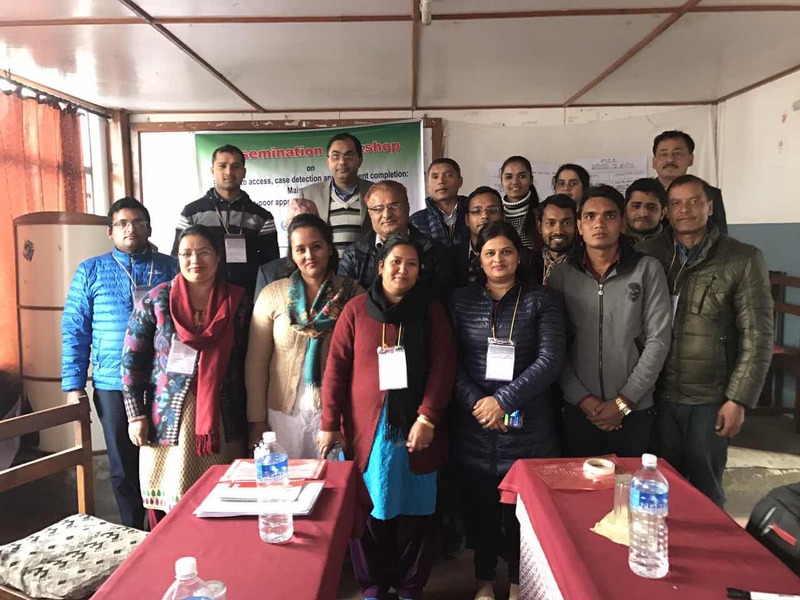 More than thirty health care providers, district supervisors and other public health professionals from Kaski district were participated in the workshop. The Principle researcher Dr. Sujan Marahatta present the key finding of research. 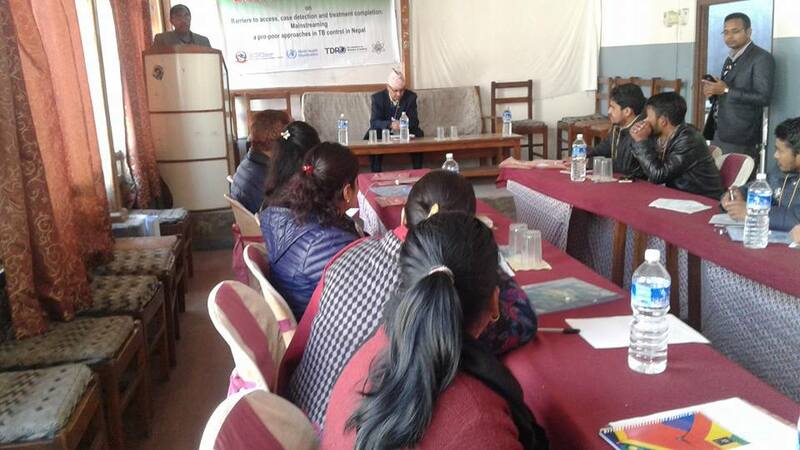 He also discussed the current scenario of tuberculosis globally and nationally. 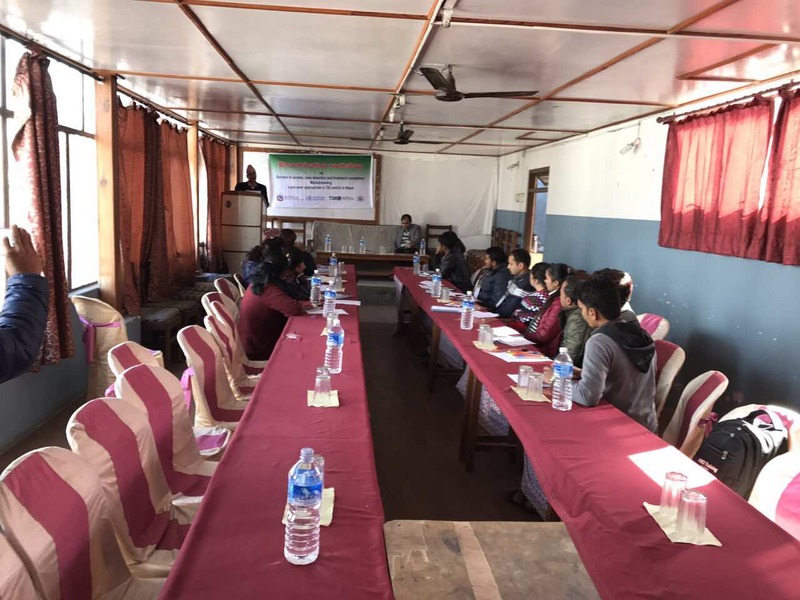 Plan, policies, strategies, targets of tuberculosis control program, incorporation of end TB strategy and sustainable development goals. 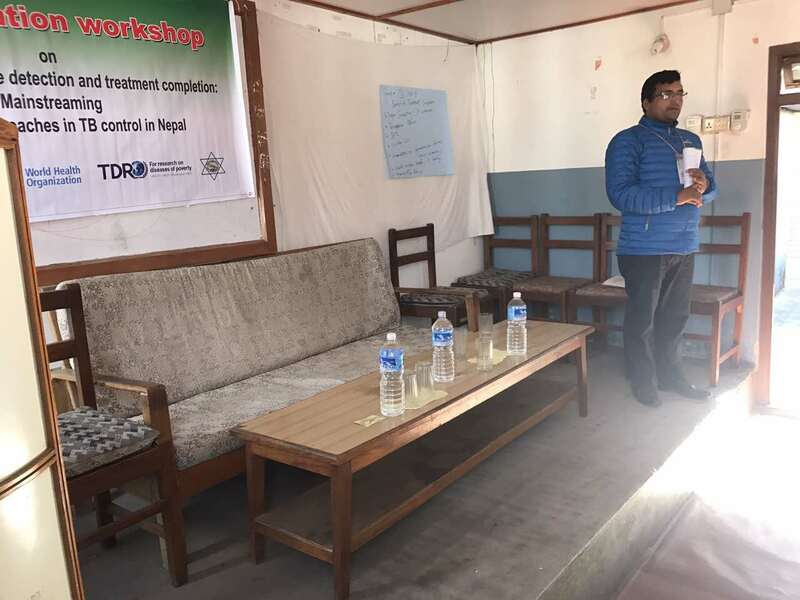 Participants were actively participated to share their real felt barriers and the possible solution to eliminate the barriers of tuberculosis program in Nepal. Geographical, economic, transportation, unavailability of healthcare workers in health facilities, low no. 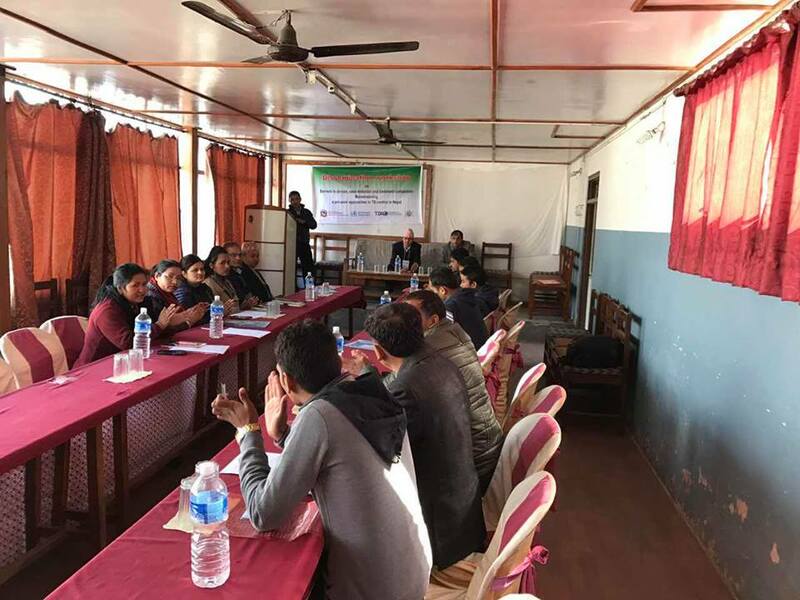 of trained person in HFs to deliver tuberculosis related services, trust level to local Health facility /HCWs low, IPC skills of Health care providers, hidden economic burden to clients, unavailability of comprehensive services in health facilities were the major points highlighted by health workers during group discussion. 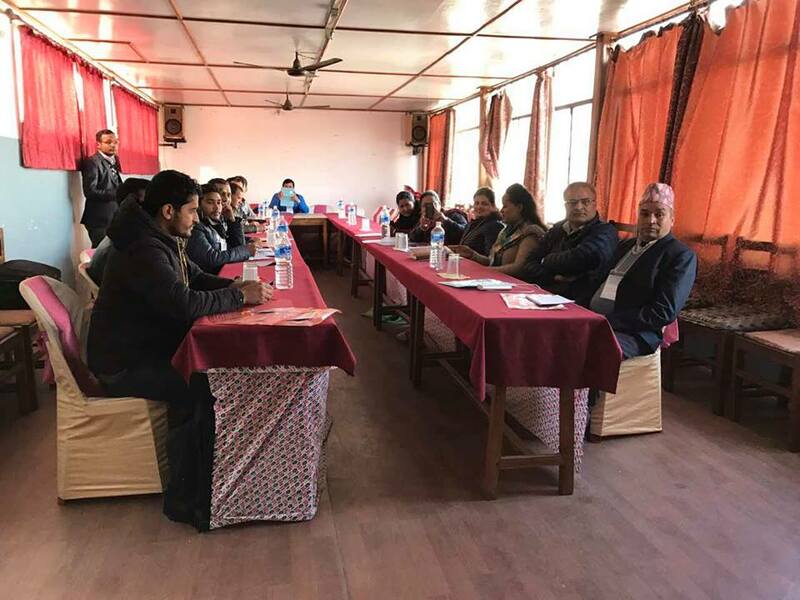 The workshop began with the inaugural session chaired by Dinesh Kumar Chapagain, Chief Public Health Administrator, District Public Health Office, Kaski. 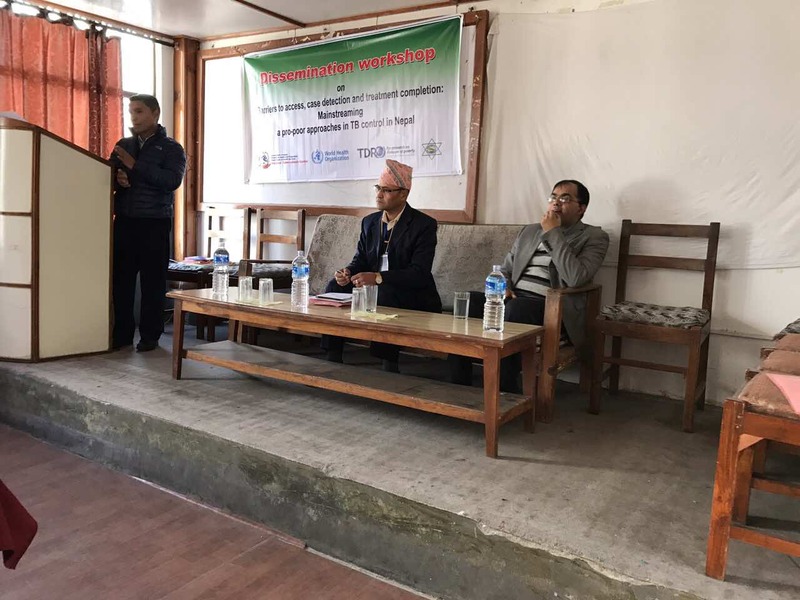 In his speech, Chief Public Health Administrator states that there are various barriers to access, detection and treatment of tuberculosis in Nepal, majority of barriers were generated from socio-economic & geographical factors, we need to classify all these barriers and focuses on multisector approach to reduce and eliminate the factors responsible to access, case detection and treatment completion of tuberculosis. He also assured that findings from this research will incorporated to deliver services in community level from district level as well as national policy & planning level. 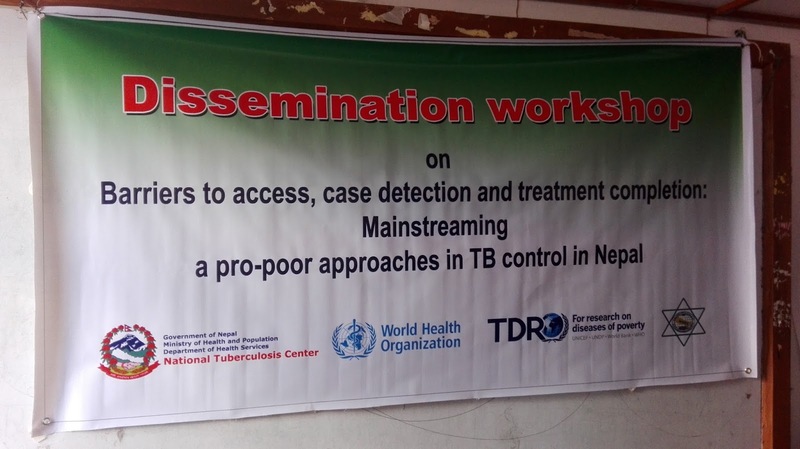 Finally, the workshop concluded that all the barriers related to access, case detection and treatment completion of tuberculosis can be eliminated via multi-sectoral coalition between all stakeholders and service demand & delivery mechanism need to strengthen by intensified research and innovative activities.